The History of Patent # US3158457 A, the Cleanroom « Adafruit Industries – Makers, hackers, artists, designers and engineers! There are few more essential tools to a scientist then the ability to keep contaminants out of their research. Dust, microbes, and even vapors can screw up delicate experiments. And as science gets more and more precise, sometimes even a single atom out of place could mean the difference between successful science and total failure. This is why we have cleanrooms. They control the level of contaminated air inside a space and allow scientists to do delicate work without fear that a rogue element will upend everything. 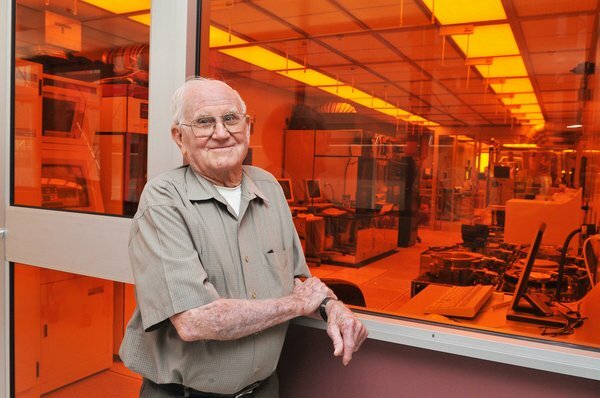 Willis Whitfield invented the cleanroom in 1962. It was a revolution at the time — the design schematics for the first “ultra-clean room” even has a patent: US3158457 A. But 1962 wasn’t all that long ago. It’s hard to believe that no one was protecting their environments from contamination before then.